Is your yoga mat eco-friendly and durable? 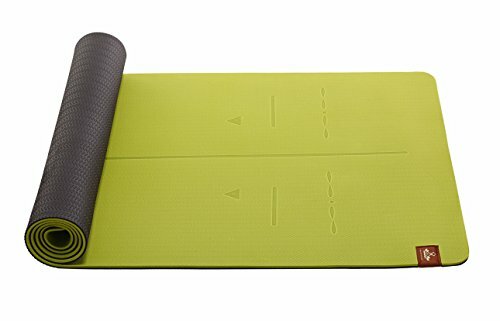 Are you still using the PVC, NBR or Eco-PVC (still PVC) traditional yoga mat? 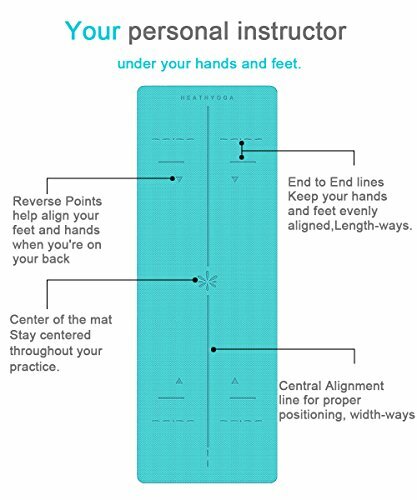 Your yoga mat has alignment lines can help you to improve practice? Long enough, wide enough and thick enough? Preventing slippery? Perfect cushioning? Odor less? Light weight? 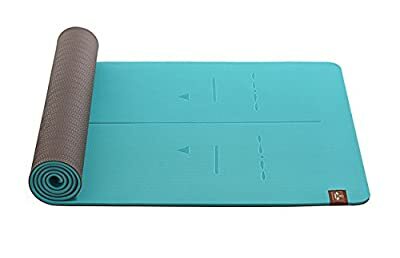 We gather inspiration from best yoga instructors and yogis' feedback and comments, Heathyoga mat is designed to ensure best experience of all level of yogis. Hope you will enjoy our products and share the joy with others. We only use SGS certified eco-friendly TPE material to ensure the best cushioning and slip-resistance at the same time. 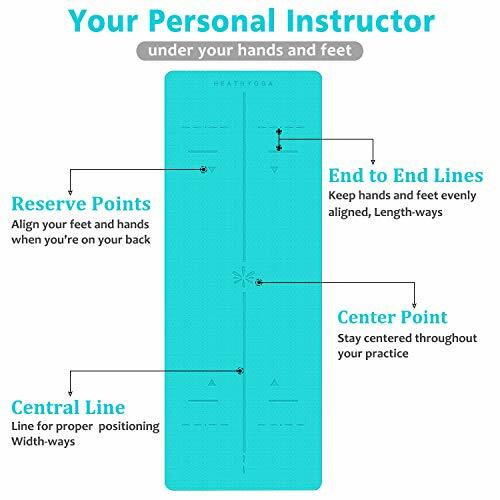 With the alignment lines, you are no longer need to focus on your hands and feet position during the yoga practice, they will help you work on alignment. Yoga was supposed to bring physical and mental joy to us. Double layer design perfectly matches different non-slip requirements from your body and floor. That is why we call it "double standard". It can be used in most floor surfaces. 72"(183cm) x 26" (65cm); Thickness: 6mm; Extra size for extra room. Weight: 2.5lb. Double layer design and distinctive colors, instantly become the focus of attention. Green Earth Program - Your Purchase Plants One Tree. Through our Green Earth Program, we aim to offset the environmental impact of the production and transportation of our products. NOTE: For Hot yoga we recommend using Heathyoga towel along with TPE Mat or Heathyoga natural rubber mat to help with slipping from sweat. New Eco Friendly Material - A little more expensive, much better. TPE is the latest technological improvement to the traditional yoga mats. No latex, no PVC, non-toxic or any harmful chemicals. Our mats are made of SGS certified TPE material which is non-slip, odor-less and excellent in cushioning, unlike those cheap & traditional non-green PVC, NBR or EVA yoga mats. They are truly eco-friendly, healthy and recyclable. 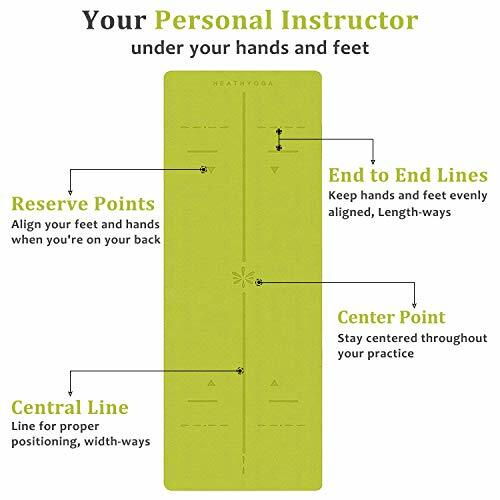 Body Alignment System: The alignment lines help you to focus and adjust your hands and feet to the accurate position, and keep body in proper alignment. Perfect Performance -6mm in thickness offers the most comfortable experience for all level yogis. 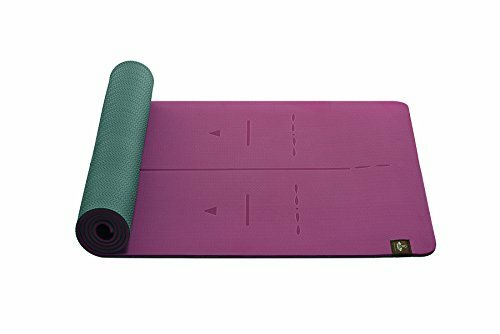 Double layer structure design provides optimal grip, excellent cushioning and double-sided non-slip texture, best suitable to practice many forms of Yoga. Extra Large Size: 72"(183cm) x 26" (65cm); Thickness: 6mm; Weight: 2.8lb (Approx). Longer and wider than regular yoga mats, ideal almost for everyone. Velcro strap and Carrying strap included. Specialized Yoga Brand: Being a professional yoga product manufacturer for over 10 years, we have been and still continuing to source our planet for the best materials to guarantee our customer total satisfaction. Please visit Heathyoga Amazon store for more product offerings.